Russian Reading Month: Final Day and Update! Well, it’s the last day of November and so Russian Reading Month draws to a close! I have enjoyed taking part in this and I certainly won’t be stopping reading the Russians just because it will soon be December – especially as I still have to complete “In The First Circle”, which will run on well into the next month! and over half of In The First Circle by Solzhenitsyn! The month has also been fascinating because it’s made me think much more about the volumes I’ve read in the past, the translators and their translations and what it is I really enjoy about Russian books. 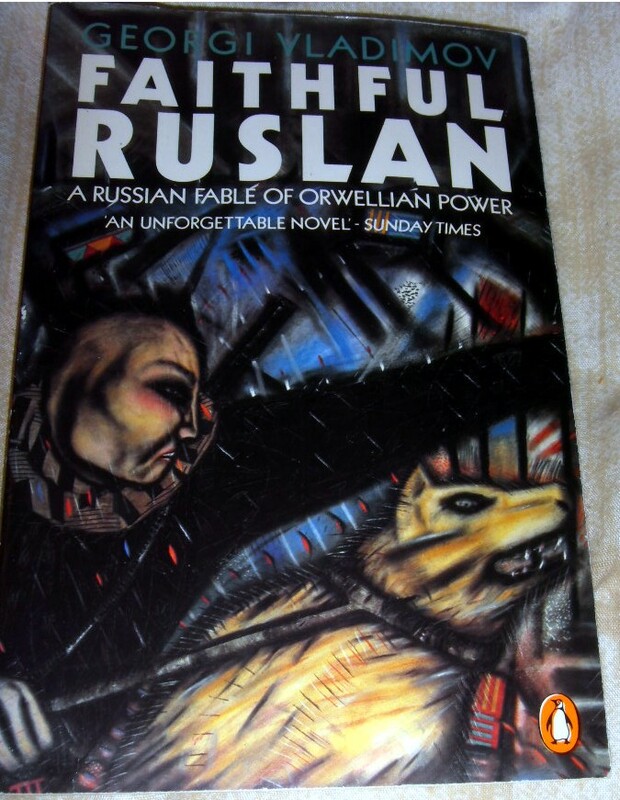 I’m also keen to re-read many of my old favourites like Ilf and Petrov. So thanks to Tuesday in Silhouette for setting this up – it’s been great fun! As for the chunkster – it’s turning out to be a great joy. 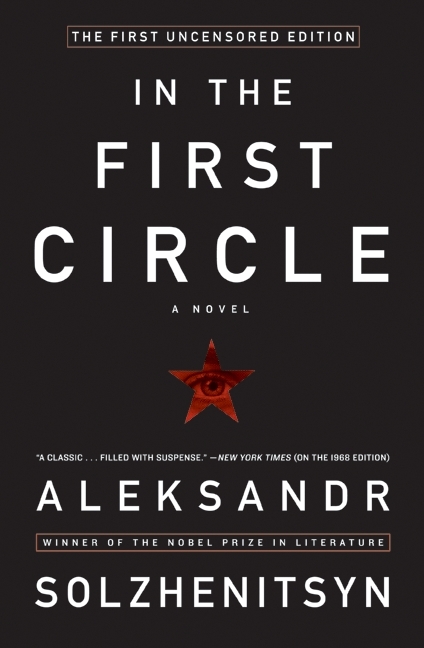 Everything I read by Solzhenitsyn raises his status as a writer in my eyes, and “In The First Circle” is no exception. It’s a complex, well constructed and many layered work, but surprisingly easy to read and I shall look forward to reviewing it soon! Some Recent Finds – including a Russian treat! 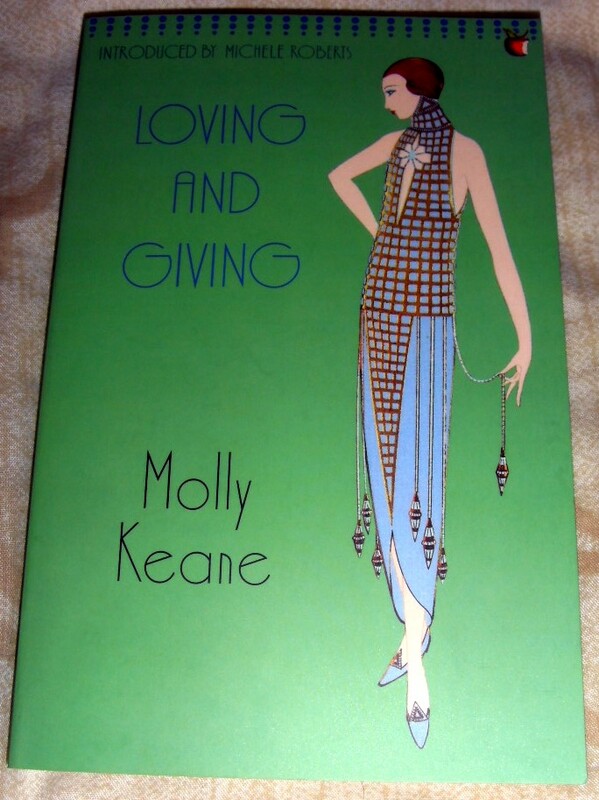 First up, a Molly Keane I don’t have for my Virago collection – brand new and £1.50 in the Saint Elizabeth Hospice shop, and apparently reckoned to be one of Keane’s best – yay! 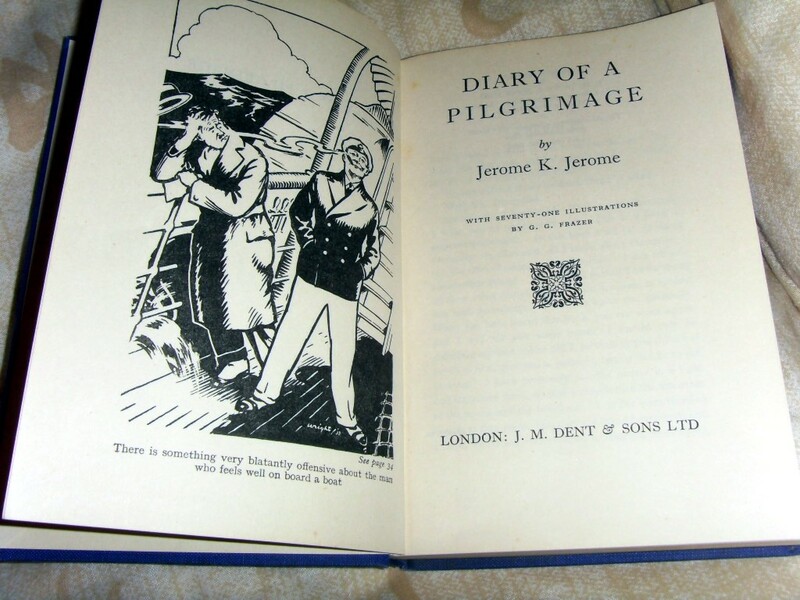 Secondly, a rather lovely hardback by Jerome K. Jerome which I’ve never hear of (though I have of course read “Three Men in a Boat”). 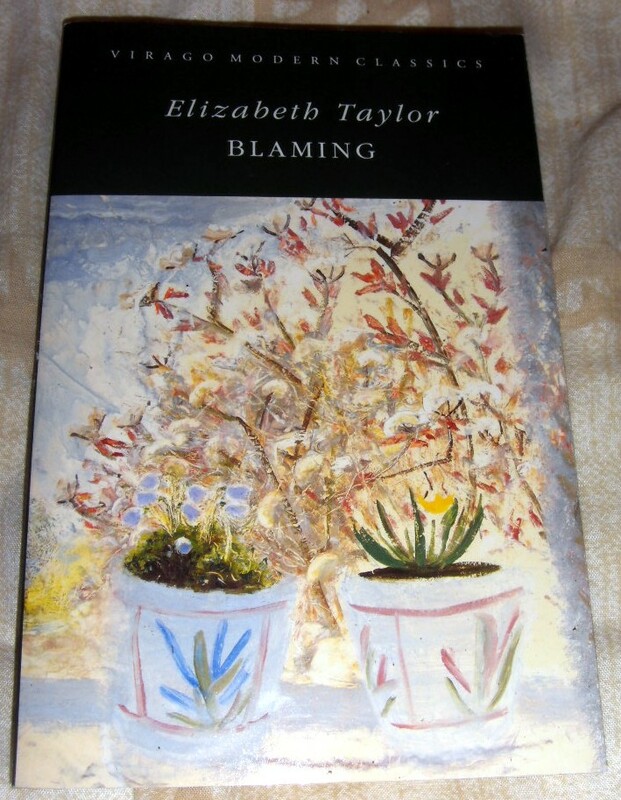 But it looked lovely and I read the first page and laughed out loud in the Oxfam Bookshop, so that was a good sign! Finally, a pleasing find – I have been reading up on any 20th century Russian authors I might have missed, and this volume came up on a number of lists so it was must-have. Translation is by Michael Glenny who did a lot of Bulgakov (in fact, most of the old Harvill editions I have are done by him). Was most pleased to discover this book! I confess to having got a little behind with the Elizabeth Taylor read-along, having been distracted by Slavs, but I shall catch up as soon as I’ve dealt with the chunkster! Russian Reading Month: …in which I take on a chunkster! I’ve noticed a tendency in myself recently to read only shorter works. This isn’t something that’s always been my reading mode – I’ve happily sunk myself into massively long volumes in the past with no issue at all and with great enjoyment. But on thinking about it, I think that embarking on this blog is something to do with it. I’ve been reading shorter works so I can get a review out every day or two, and small volumes are therefore more manageable. This is Not Necessarily A Good Thing – so I have given myself a bit of a talking to and reminded myself that at the end of the day, I read for pleasure and I read what I feel like reading, and that it doesn’t matter if I don’t post for a week! So – I take on a chunkster! The book in question is one that’s been on my TBR mountain for a couple of years in its present form and for about 35 in its original form! In case that statement causes any confusion I’ll explain – in my teens I discovered Aleksandr Solzhenitsyn and after reading “One Day In The Life of Ivan Denisovich” I got hold of all of his books that I could – most of them in Penguins from the 1970s or thereabouts. One such was “The First Circle” and I confess to never having got very far into it. However, a couple of years ago I discovered that this volume had been severely truncated by the author in the 1960s in an attempt to get it published by the Soviet authorities, following the success of “Ivan”. Needless to say, they wouldn’t have anything to do with it, but it was this shortened version that had been published in the West, somewhat out of Solzhenitsyn’s control. After he defected to the West, he restored the work to its original form and this version was published shortly after his death, in a version by his approved translator, Henry Willetts (under the title “In The First Circle”). I demanded a copy from family for Christmas 2010 but didn’t get very far into it – at 700+ pages I was a bit daunted. But – 700-odd pages or not, I am determined to read this. 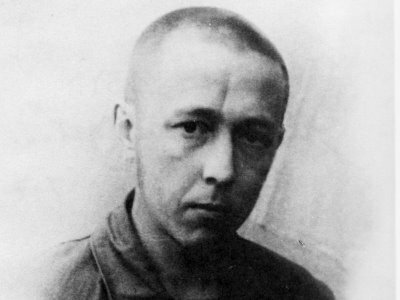 Solzhenitsyn seems to be in some ways a forgotten author which is a great shame. When I was growing up he was ubiquitous because of his political stand and his defection to the West, and his books were very highly regarded. However, I think his public persona and his politics have got in the way of perception of him as an author. I read “Cancer Ward” within the last few years and was blown away. I think he’s a remarkably good writer and I’m looking forward very much to getting sunk into “In The First Circle”. Following on from my first read of Turgenev with the title story in this volume, the second tale was equally rewarding. “Yacob Pasynkov” has a simpler plot, involving once again a first person narrator. Yakob of the title does not make his appearance straight away, but he is a great friend of the narrator, as well as the N family, with whom both are intimately involved. There are two daughters, Sofia and Varvara, plus the complication of another acquaintance, Asanov. Yakob is a pure soul, an orphan brought up by his school teacher, poor but educated and basically the nicest and most poetic person you would wish to meet. He befriends the narrator while they are at school together and they become inseparable bosom buddies, united by their love of literature. But as so often with classic tales of male friendship, it is a woman who causes a kind of friction. Although their paths drift apart, they will meet again towards the end of the tale, but under different circumstances. There are similarities between the two works, most notably the influence of German literature on the sensibilities of Russian intellects – this time in the form of the poetry of Schiller. There are also overbearing parents, and a sequence of romantic misunderstandings. The wrong people are in love, those who are loved do not love back, there is a fair dollop of tragedy and a rather moving end. As this work is so short, it’s hard to say too much without giving a lot of the story away. 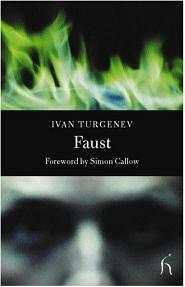 But the characters are as beautifully drawn as in “Faust” and Turgenev is obviously the master of the short form. 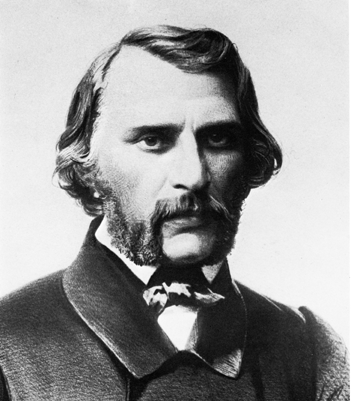 I have read a little about the concept of the “superfluous man” which was prevalent in the 1840s/50s in Russia, and in fact Turgenev did write a story entitled “The Diary of a Superfluous Man”. He is a kind of Byronic hero, outside of the normal everyday lift, a little detached and cynical, with no real purpose in life and no outlet for his intellect. Certainly both of the protagonists of these stories would fall into that category and this book is an elegant portrayal of the lack of purpose of mid 19th century Russian man! The story did not quite gel in a couple of places for me. I didn’t see the point of Maria Petrovna, a peasant woman who loved Yakob and whose introduction seemed to serve no real purpose. There were a couple of scenes with Sofia’s daughter which again were a little obscure, and unclear references to Sofa’s absent husband. 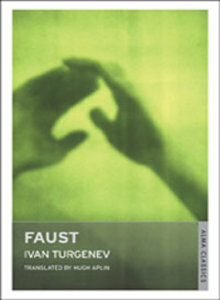 This tale also packed a little less punch than the first story – there was more drama, a little more about nature and the setting in “Faust” which gave it a stronger atmosphere and an edge – with “Yakob” the story was more firmly focused on the human relationships. However, these are minor quibbles and in so short a work perhaps it is hard to tie everything together. I suspect with Turgenev that a little might be a lot. I enjoyed these stories and found them moving and engrossing, but I don’t feel the instant need to go out and read more. I’m sure I will return to his work – but not for a little while! I’m really starting to enjoy this month of discovering and rediscovering Russian writers. Some of the pivotal books in my life have been from that great nation (“One Day In The Life of Ivan Denisovich”, “Dr. Zhivago”, “Dead Souls”, “The Master and Margarita”, anything by Platonov) but what I’m also enjoying is reading some of those authors I’ve meant to for year but haven’t got round to. One such is Turgenev – I have several volumes on my TBR mountain, but the one I have just actually read is a new one. I’m afraid my purchase of this was very much motivated by two factors – it is a lovely little book published by Alma/Oneworld Classics, and it’s translated by Hugh Aplin, whose work I’m starting to trust a lot! There are actually two short pieces in this book and the first is entitled “Faust” (after the Goethe story and of course because it reflects the strong impact a piece of literature like this work can have upon a person’s sensibility). The story takes the form of a series of 9 letters, written by the main protagonist Pavel Alexandrovich to his friend Semyon Nikolayevich. Pavel has moved away from St. Petersburg to the country, to an old estate. He obviously has not visited for some time as the servants have all become older, the house more dusty and neglected, and there is a sense of much time having passed. We are not clear why Pavel has retreated here, but he seems in need of quiet and rest, enjoying his solitude, reconnecting with his books and generally happy to be on his own. The state of his emotions is made clear by the fact that he dissolves into tears for no particular reason and seems somewhat emotional. However, his calm retreat is disturbed by the discovery that he has as neighbours a rather dull old school friend Priyimkov, who is married to another old acquaintance – Vera Nikolayevna. Pavel knew Vera when she was young, growing up under the strict rule of her mother, Mrs.Yeltsova, who would only let her read factual books and kept her on the straight and narrow. Pavel at one point had asked for Vera’s hand in marriage but was refused, and then left for Berlin. As Vera’s mother has now passed away, and she is living close by with husband and daughter, Pavel decides this is the time to acquaint her with the classics and begins reading the Faust of the title to Vera, Priyimkov and a local German scholar Schimmel. As readers, we can probably anticipate some of the events that follow, but nevertheless the denouement is moving and a little shocking. I enjoyed my first exposure to Turgenev a lot, and I put a lot of that down to the very beautiful and readable translation. I’ve seen Turgenev described as one of the most European Russian authors and certainly the prose and descriptions here are lovely. The character of Pavel is revealed very cleverly by the moods portrayed in his letters and events unfold gradually. The epistolary device is a good one, allowing time to pass between messages and the action to move on just enough for us not to feel rushed. 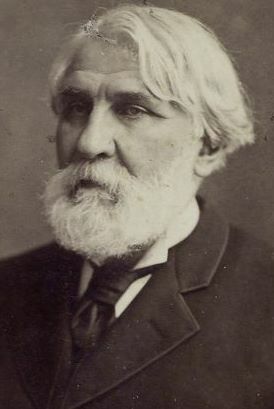 Turgenev covers a number of themes here and one strong aspect is the effect of great literature and poetry on the deep sensibility of a woman who has never encountered them before. Much is made of Vera’s heritage and her rather lively grandmother, as if there are tendencies in Vera which are a throwback to an earlier generation. It is hinted that Vera’s mother recognised and controlled these tendencies to keep her on the straight and narrow. And then there’s the so-called supernatural aspect. From the foreword, it would seem that Turgenev was criticised for introducing something like this into his fiction, but I have to agree with Aplin’s assessment that this element is not necessarily to be taken literally. Instead, we can view it as an illusion that the protagonist concerned was labouring under, a psychological effect and not a real one. Nevertheless, I felt this part of the story was very well-handled and didn’t detract at all from the drama of the story and the writing. So my first encounter with Turgenev was a very positive one. I love the format of the book and the quality of his writing very much and I’m looking forward to the next story in this little volume. I should confess up front that I’ve never heard of this book until I came across Tuesday in Silhouette‘s Russian Reading Month. This is one of the featured books and as it has the wonderful Nabokov writing about the equally wonderful Gogol, it definitely was a must! I’ve read a fair amount of both authors and I was interested to see what Nabokov’s take would be on the writer behind “Dead Souls”. Of course, with Nabokov it would be foolish to expect a traditional biography or literary study – this book is very definitely not that. It’s highly subjective, opinionated and sharp – and also very funny in places. 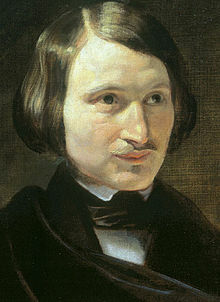 The first chapter starts with the death of Gogol and then goes on to discuss his early years. 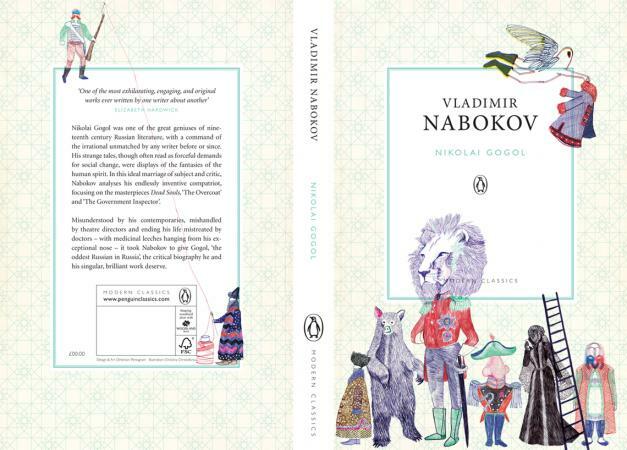 Nabokov opts to discuss Gogol in the light of what he considers his three major works – the play “The Government Inspector, the novel “Dead Souls” and the short story “The Overcoat”. He dismisses a lot of Gogol’s other work as trivial, but rates GI as “the greatest play ever written in Russian (and never surpassed since)”. The book ends up with a somewhat humourous section entitled “Commentaries” in which Nabokov discusses with his publisher whether he should provide a more traditional section with summaries of the stories and biographical detail. Clever, this section does provide the necessary details about plot (which is cross referenced in the body of the book) and there is a chronology for those in need of this kind of information. Even if you know nothing about Gogol, for the quality of writing alone I would highly recommend this book.